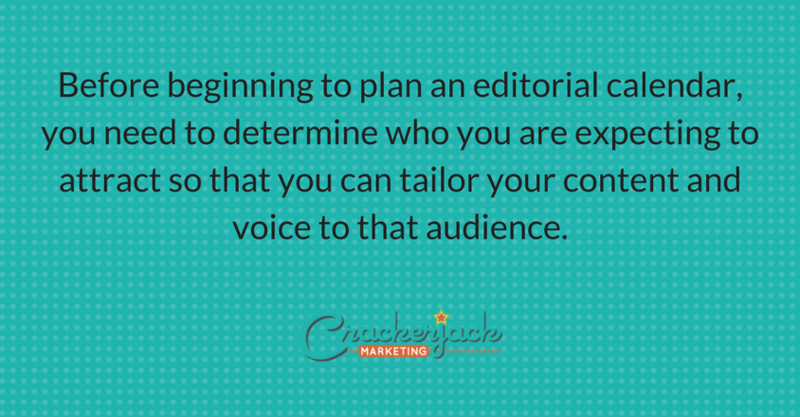 Before beginning to plan an editorial calendar, you need to determine who you are expecting to attract to your content so that you can tailor your content and voice to that audience. In our case, we are publishing content for both people that we hope will become clients (small- to medium-sized businesses) as well as those in the social media blog community that we consider ourselves to be a part of. We’ve determined which platforms we’re planning to publish in – at least for now. We currently publish content on this blog, Twitter, Facebook, and on our LinkedIn company page. You or your company may also publish in other places – YouTube, Instagram, Tumblr, etc. 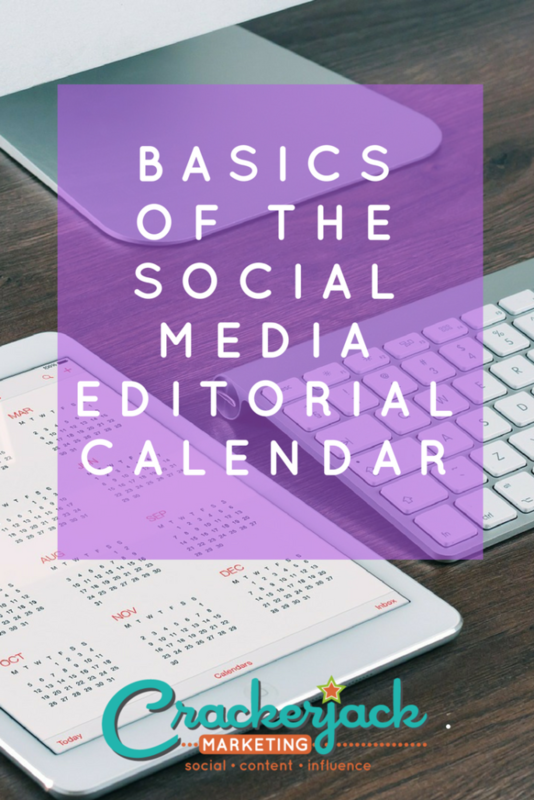 For the purposes of this post we’re going to focus on the blog calendar; we’ve written about an editorial calendar for Twitter in another post. It’s different, but the principles of planning in advance are exactly the same. 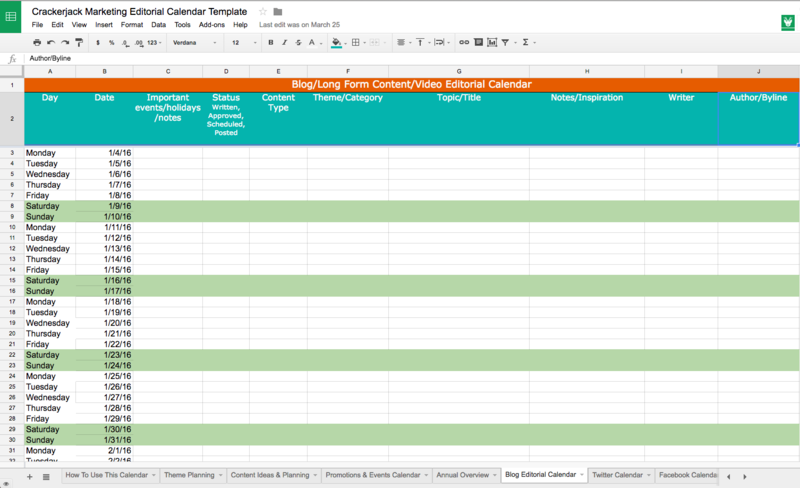 For our blog, we schedule out a calendar in a Google Doc that outlines our posting schedule. We don’t plan to post on weekends or national holidays, and we are currently posting on 1 to 2 weekdays per week. Our assumption is that most of our intended audience will do the majority of their reading during the business week. 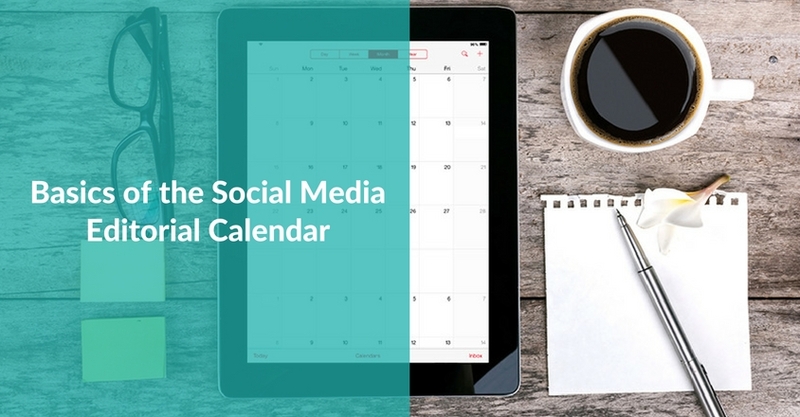 If your audience is mainly a consumer audience, you may want to schedule posts on the weekends, too. The best way to determine the posting schedule that works for you is to test, test, and test some more: start by posting on a particular day of the week, then look at Google Analytics 48 hours later to see how many views that post has. Then post on a different day and compare. We typically have our calendar setup for a rolling six-week period, and we add to it frequently to be sure we never get too far behind. We also set aside time every week to update the calendar and to make sure that it stays on track. And if cool ideas come to us that aren’t part of the calendar, we can always move a post out further and insert the hot topic or new idea anytime. It’s also important to note that we do most of our writing pretty far in advance of the days designated on the calendar. For our own blog, but especially for our clients’ blogs, we typically have at least two to three posts queued up in advance. For clients’ blogs, we’re sometimes six to ten posts ahead! This is especially important when we need to get client approval or feedback on blog posts; we batch them and send them to the client all at once, thereby minimizing their time needed to review them, and keeping our process on track. These are all the fields that we fill out for each post in our calendar. For each post, we often make a few notes on the content and choose the keywords we’re using for the post (for SEO purposes) pretty far in advance, then we refine the calendar as we write the content. For some tips on how to choose SEO keywords for your content, our friend Andy Crestodina at Orbit Media has a great guide. We’d love to hear from you if you’re using our editorial calendar or any others…and how it works for you. Please tweet at us @crackerjackmktg or leave a comment.